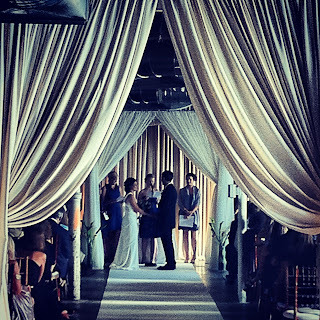 One of my favorite things to do after sending the bride down the aisle is to watch the ceremony. Now I do not always get to do that, but when I have the chance too, I just love watching! Over the next couple of weeks, I am going to share with you some photos of four different types of ceremonies that we have done. Keep in mind, these are all from my iPhone (so I understand if the quality is not the best!) and from my point of view! I have sorted them into the themes, lofty, modern, garden, and traditional. 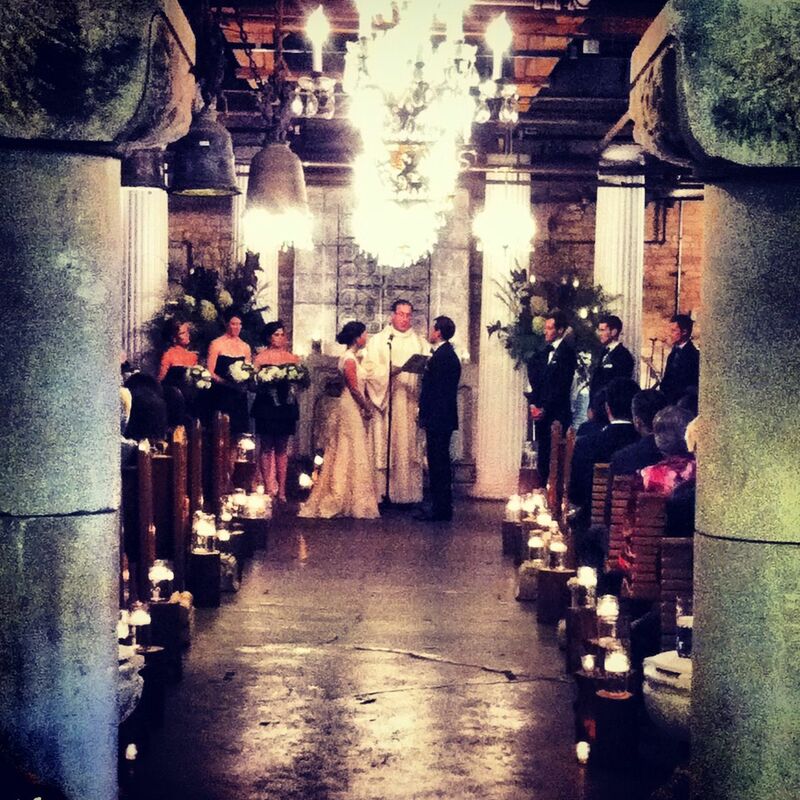 Today, I thought we would start with the Lofty Wedding Ceremonies! Take a look and get some ideas for your ow lofty wedding! 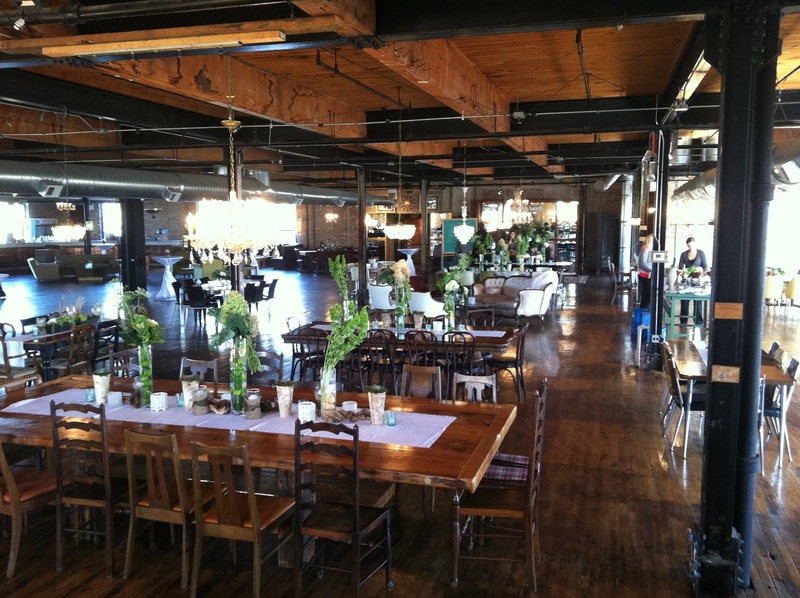 This wedding happened this year, at Loft on Lake. 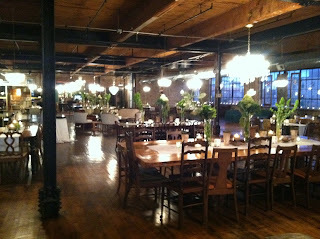 The couple and I had a great time planning. 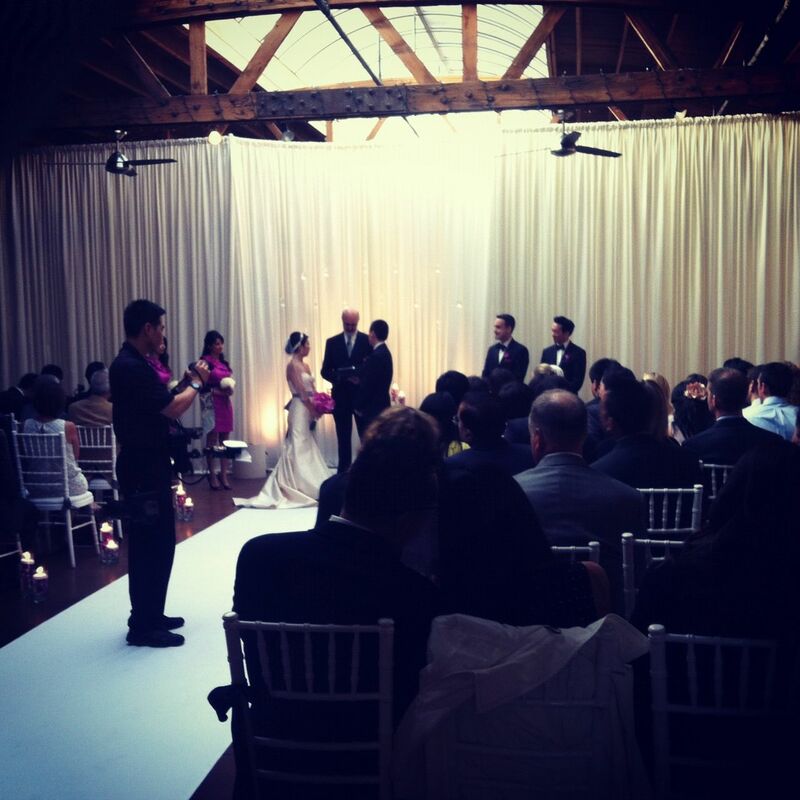 They wanted to keep it simple, yet elegant and with the fabric draping by Art of Imagination we were able to make that happen! 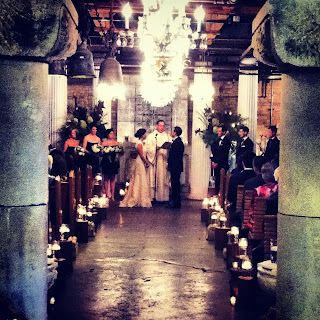 This wedding took place at the MCA Warehouse. 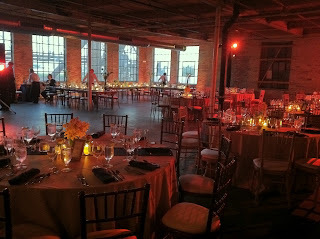 This space is raw (and I LOVE IT!!). 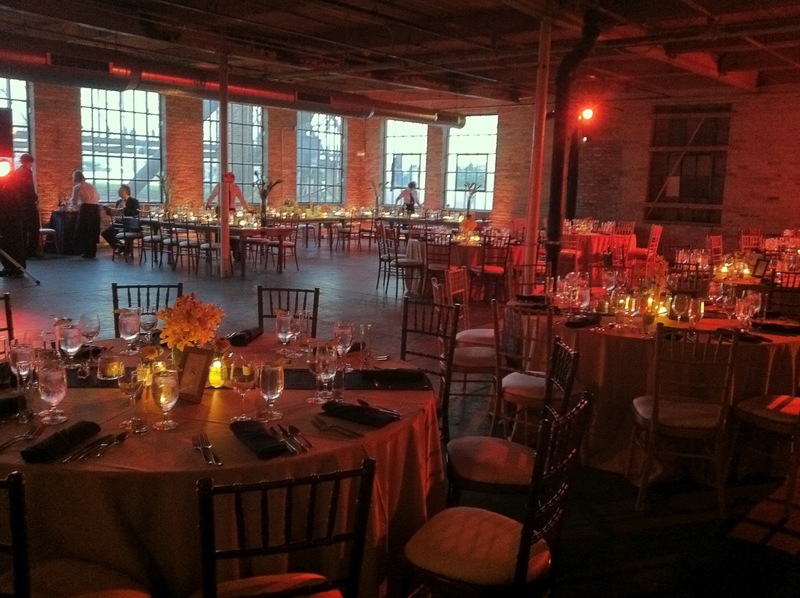 It’s a warehouse in the West Loop where the MCA stores art. 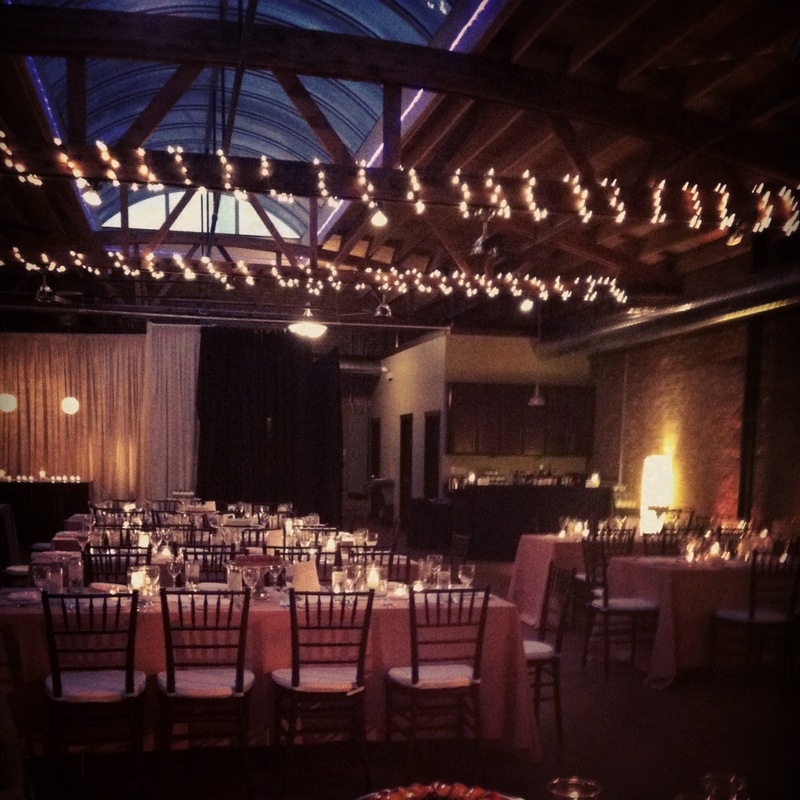 The second floor can be rented for events and this is what we did here. We added in the entrance drape, the fabric aisle runner, fabric Chuppah and fabric backdrop. Thanks again to Art of Imagination. 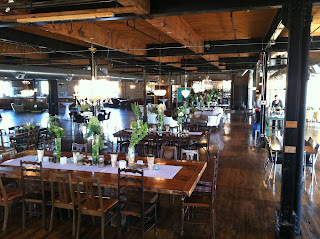 This wedding was really amazing and love the space at Salvage One. 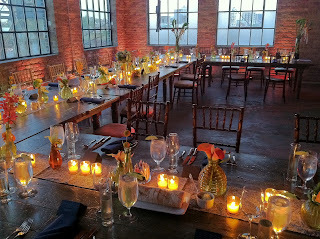 Stems lined the aisle with florals and candles and the natural beauty of the space. Sara, at Salvage One made sure there were extra chandeliers hanging and a beautiful stone alter stone at the front! It was spectacular! Thursday I will be looking at some Garden Weddings we have produced this season! Stay tuned!